Update! 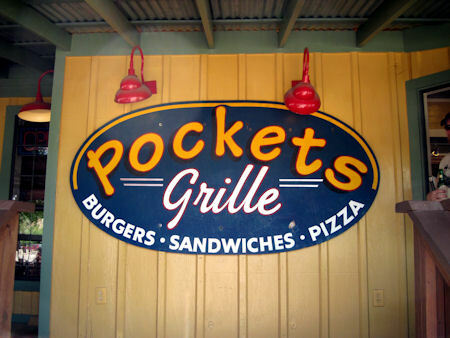 Pockets Grill has moved to a new location. New pictures and map link. Same great food in a new location! I was south bound going down US 71 late one evening and decide it was time to stop at one of my favorite eating establishments. I took the exit into downtown Smithville, Texas. 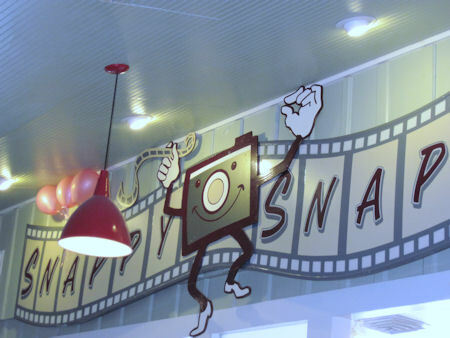 I was glad to see the neon "Open" sign lit up on "Pockets Grill". If you've make it near Smithville you need to stop by Pockets Grill. 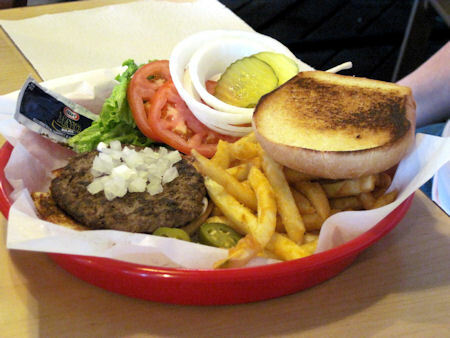 The menu is varied, from the Atomic Meltdown, Fried Pickles, Pablano Chicken Sandwich, BBQ Chicken pizza to at least 15 different types of burgers. 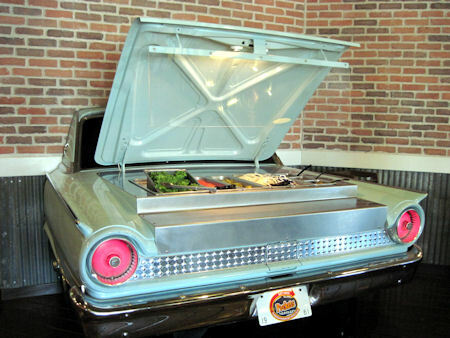 I don't know of any other place that has anything you would ever want on a burger self served from the trunk of a 1961 Ford Galaxy. I've been served a few things out of the trunk of a car but never lettuce, tomatoes and pickles, etc. On this night I went for the Cheese Burger. I went right to the trunk and added jalapeños and lots of onions. With fries and a cold Dr Pepper it was a good and satisfying meal. At times Smithville is a touristy town, but most of the times I've been to Pockets the patrons were locals. It is a real family atmosphere. Pockets Grill is on the ground floor in an old four story building on Main St in Downtown Smithville. 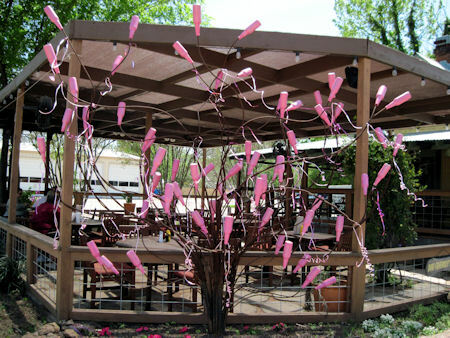 One of the unique features of Pockets Grill is that it is decorated with signage from the movie "Hope Floats" which was filmed in Smithville. If you are familiar with the movie you will recognize the props.